When you think of Bedminster in central / south Bristol, what do you think of? Terraces of brick houses with tiny gardens, small yards and doors that open on to the street? Have you ever wondered what's hidden behind the houses? They might be small, but they're perfectly formed. 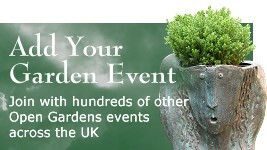 Get inspiration, enter a world of plants and see creative, productive and beautiful gardens. Take a look through the keyhole - you'll be surprised at what you find. 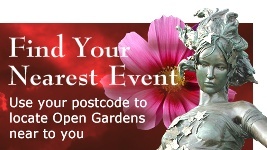 This summer, local people will be opening their back gates so that you can discover the secret gardens of Bedminster, Southville and Ashton. Many gardens will be opening for the first time. 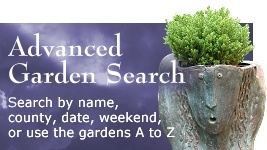 You can visit gardens on both days (some gardens will open on one day only - see guide for details). This year Bedminster's Secret Gardens is delighted to be supporting the work done by local charity BS3 Community to help reduce isolation and loneliness among older people across greater Bedminster. This year the guide is free but please donate a minimum of £2.00 per person at the first garden you visit and get a sticker to show you've given your support. On Saturday from the info stall by Nat West Bank, North Street; on Sunday from Tobacco Factory Market stall, Raleigh Road; in advance from the Southville Centre, Riverside Garden Centre and Bristol Tourist Information Centre. The gardens are spread across Bedminster, but can be easily walked or cycled between. The best place to start your visit is our stall at the information stall by Nat West Bank, North Street on Saturday and Tobacco Factory Market, Raleigh Road on Sunday.